Celebrating the success of past pupils. Our 2018 year 6 class may have gone on to pastures new but we still love to celebrate their success and hear about their new ventures. On the eve of the Plymouth Primary Indoor Rowing Championships being held tomorrow, it is apt that we share the good news we received about one of our super rowers last year. 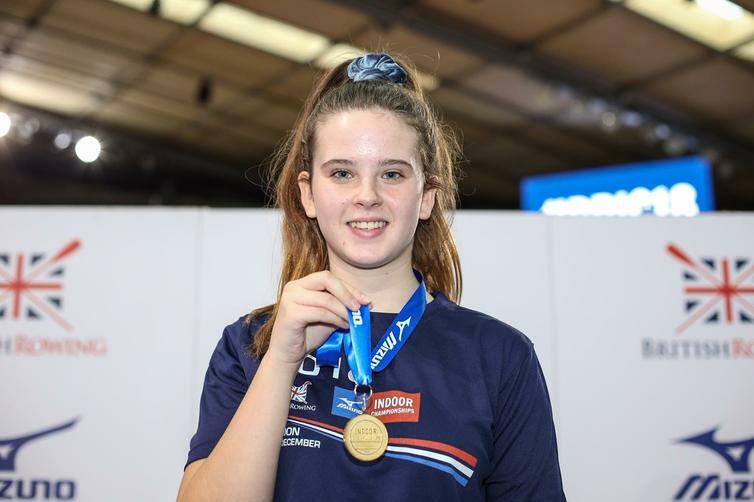 Lottie first took part in the indoor rowing practice at Wembury last year and went on to represent the school at the championships where she came home wearing a medal. She really took to the sport and joined Plymouth rowing club in September. Amazingly, she has just competed in her first big competition at the Olympic Park in London where she rowed her way to victory and was crowned the National Girls Year 7 Champion! Wow Lottie congratulations to you - you are an inspiration and we look forward to following your future success! Good luck to all of our rowers taking part tomorrow. I wonder if we have any more future stars in the making?